The Town of Blaine occupies the northern end of Burnett County. 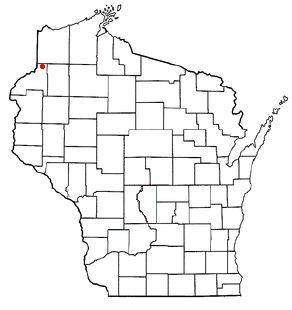 It is bordered to the east by Washburn County and to the north by Douglas County, both in Wisconsin, and to the west by Pine County, Minnesota. An area well-known for recreation including a miles of snowmobile and ATV trails. Hunting includes grouse, deer, bear, bobcats and coyotes. Great fishing can be found on any the the six lakes located in the Town of Blaine, which includes McGraw Lake, Little McGraw Lake, No Mans Lake, Bass Lake, Richart Lake, Bradley Lake and four rivers St. Croix and Namekagon, known for summer canoeing, the Tamarack and the Totagatic River.There are also Chases Brook, Hay Creek, Perkins Creek, Dogtown Creek, Clemens Creek, Glendenning Creek, some of which are known to be trout streams. All of these great outdoor activities make Town of Blaine, "In Season, Every Season". The Town of Blaine has two cemeteries. Hillcrest Cemetery located on State Road 35. Evergreen Cemetery located in the Barrens area. Businesses in the Town of Blaine include Fornengo Forest Products, Hillside Inn and Robertson's Woodland Tavern.